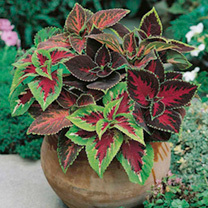 Specially selected by Dobies for it's bright colourful leaf colourings and markings in many colour combinations. 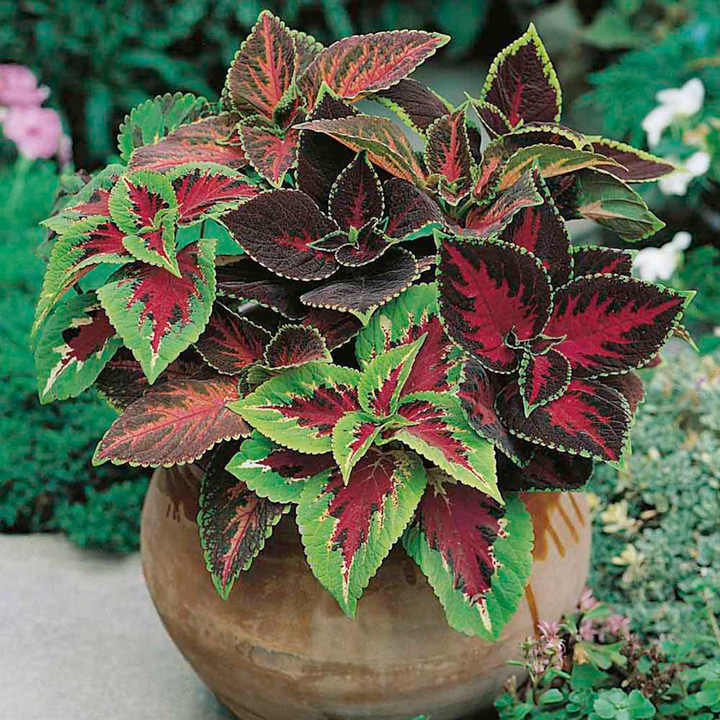 Perhaps best known as a house plant, coleus can make superb, easily grown container plants on a sunny patio and can even be used for foliage colour in a sunny border in the garden. HHP - Half hardy perennial. Height 45cm (1½'). Sow January-December (March-May for summer use). Germination 18°C (65°F) 14-21 days. 10-12.5cm (4-5" pot.). Ideal pot plant for glasshouse or home and for glasshouse or conservatory. Prefers full sun or partial shade.